Manufacturer & Exporter of Bead Mills & Bead Mills With An Enclosed Vessel. Our product range also comprises of Industrial Filter Machines, Industrial Mills and High Speed Disperser. Bead Mills reduce particles to sub micron size. Consisting of a cylindrical vessel that contains a motor-driven central shaft, which is equipped with impellers of different types. Bead mill comes with an enclosed vessel. While operating this enclosed vessel is filled with grinding media, agitator shaft activates media, creating shearing and strong forces. Rotation of agitator imparts energy to surrounding media. Forces either fracture, tear, or crush particulate. It can be operated continuously since it is equipped with devices, which retain the beads within the milling chamber. Then the final product is evenly dispersed in liquid. This bead mills are batch process machine for size reduction and dispersing of paints, inks, coatings etc. The bead mill consists of a grinding vessel inside which rotates a shaft fitted with impeller disc. 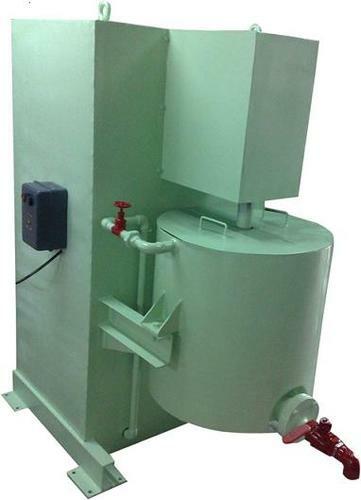 The grinding media and the charged material are filled into the vessel and the shaft is run at a very high speed for a particular time till dispersion is achieved. Vessel with jacket arrangements is provided as a standard feature.